A new clothing clip for visitor passes launched by Badgetec could cut costs reduce littering and may very well be the replacement for traditional pins, adhesives and bulldog clips. Hospitals and health care facilities often experience problems with passes or badges for non-medical personnel identification due to the shear number of visitors. 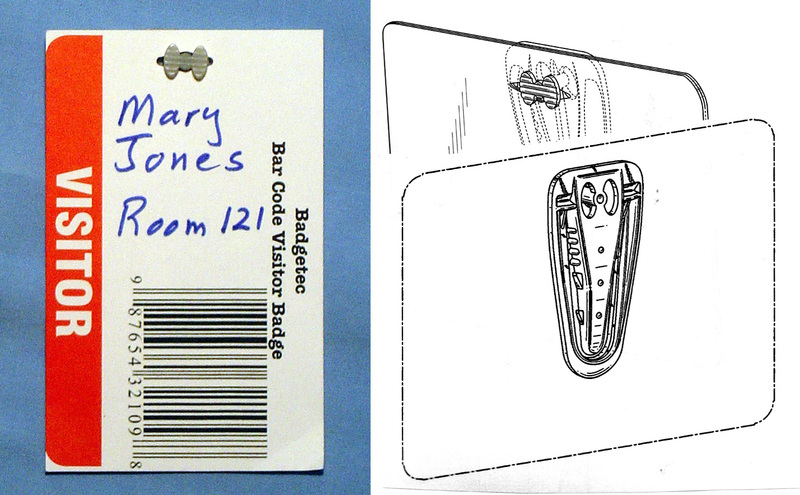 Badgetec’s new clip solution seeks to eliminate many of the logistical problems associated with visitor passes of old. Low-cost adhesive passes and badges pose serious housekeeping problems as they are often stuck to floors, walls and doors. More problematic is that without a securely attachable pass, visitors cannot be identified or authorized for entry. Badgetec’s solution works by sliding onto clothing like a paper clip, doing away with the more traditional pin or adhesive methods. Dubbed the “Contour Clip,” the solution uses uses a “compression” principle for attaching to garments— eliminating holes or other damage to the fabric. The Contour Clip is flat like a paper clip, opens at one end and slides over the edge of the visitor’s garment. The clip is smooth, made of soft polypropylene with no sharp edges or sharp points— unlike metal clips that can have thin edges or sharp teeth. The clip features a bar that attaches the clip via slots on the visitor pass. The clip is completely plastic making it child-safe, clothing-friendly, reusable, recyclable and if necessary easily sanitized. The passes to be used in conjunction with the clip can be made of rigid cardstock and printed by laser, inkjet or direct-thermal printers.